In the world of Ayurveda, neem is one of the most precious, and oldest, medicinal herbs out there. In Sanskrit, it's called 'Neemba,' and is packed with anti-bacterial properties that work great for skin infections, for the scalp, and for burns. Before we get to neem oil, we must talk about the whole plant first. While the rest of the herb tastes bitter and raw, the flower tastes sweet and heavenly. It's called 'Vepampoo' in Tamil and surprisingly has health benefits too! 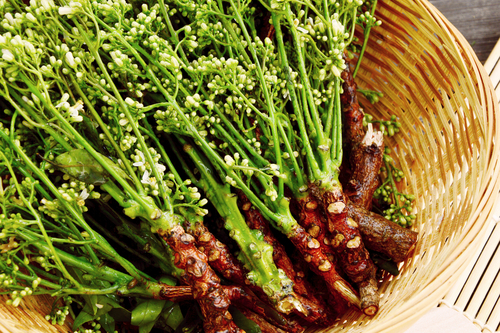 The flowers are used for treating intestinal worms, anorexia, and nausea. The scent of these flowers helps relax and calm the mind. And the best part is that they're edible! Crushed, raw or powdered, you can garnish any dish with neem flowers. Now for the next part, twigs and barks. For centuries in India, people have been chewing on neem twigs. It acts like a natural toothbrush, keeps bacteria at bay, and treats swollen and infected gums. But let's get to the main part, shall we? Neem oil. Extracted from neem seeds from the tropical Indian Lilac, neem oil has a bunch of health benefits and is used in many beauty products as an ingredient. So , here's everything you need to know about it. 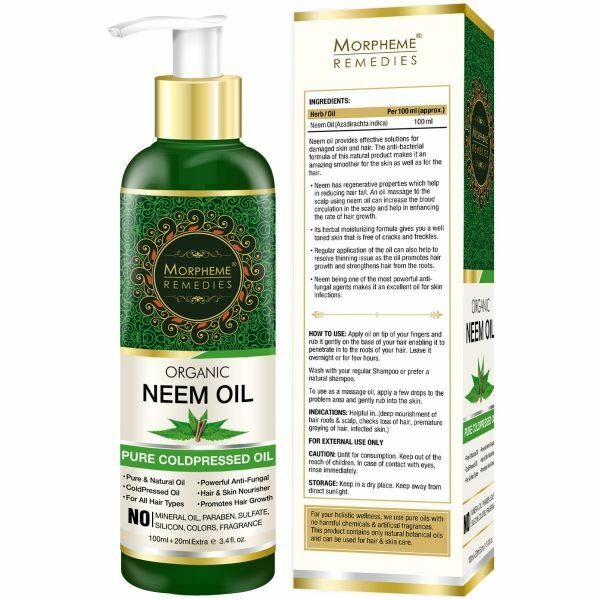 How To Use Neem Oil For Your Skin & Hair? Due to environmental stress and pollution, the skin on your feet, hands, and face can become dry. That's when you need to befriend neem oil. Since it's hydrophobic in nature, neem oil doesn't gel with water. It won't come off easily even if you use water to wash it. However, applying neem oil directly to your skin can irritate it and lead to rashes. Hence, you must dilute it with coconut oil first. You can also mix it with lavender, rosemary or lemon essential oils to reap the most benefits. Acne is caused when your pores produce more sebum. When the sebum mixes with the dust and grime on the outer layer of skin, it can clog your pores, and that can cause acne. Known for its anti-bacterial properties, neem oils helps reduce scars, fights pimples, and treats the itching and pain that comes with acne. It also contains fatty acids that help with healing skin infections and reducing marks. 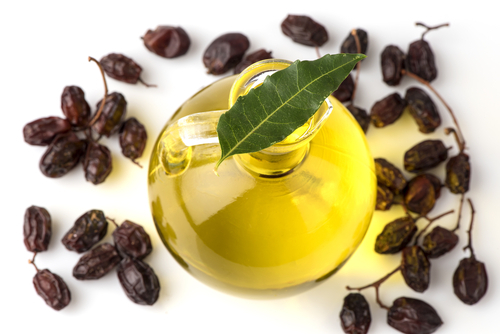 Depending on how sensitive your skin is, mix neem oil with olive oil and apply it to your face and body. You can either wash right after or the next morning. It all depends on your skin type. When there is too much melanin in your skin, it can cause skin pigmentation. Neem oil helps in regulating this excess melanin production. All you've got to do is take a cotton bud and dip it into a bowl of neem oil. Then, gently apply it to the area that needs attention. Do this for a month in order to see positive results. When you expose your skin to the sun, you are allowing the UV rays to penetrate into your skin and destroy the collagen layer underneath. This gives rise to acne, fine lines, and wrinkles. Too much exposure can cause skin cancer as well. And since sunscreens today are packed with harmful ingredients, it's best to take the natural route. The antioxidants and fatty acids found in neem oil can help restore, and repair, the collagen layer beneath the skin. 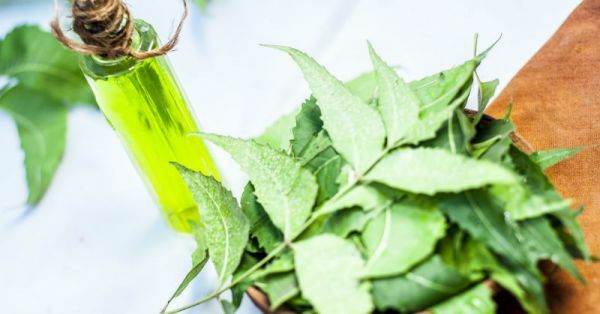 As an ingredient, neem oil is found in antiseptic mouthwashes, toothpaste, and soap. It keeps your gums healthy and acts like a natural breath freshener. If ever your accidentally cut or damage your skin, you can instantly apply neem oil to kill off any bacteria or germs. Haven't done a pest control at home as yet? Nothing to worry about. Neem oil also acts like a natural pest controller. Simply dip a few cotton balls in neem oil and wipe your doors, windows, and cupboards with the oil. The scent drives pests away, and prevents them from coming back too. The oil makes the pests lose their appetite, makes them weak, and forces them to starve to death. You can also spray some neem oil on plants to keep the insects away. But while spraying, make sure that you make a solution using 4 cups of water, 2 tablespoons of neem oil, and a couple of drops of detergent. Lice is more common in children than in adults. If you or a child you know has lice, please do not use commercial shampoos since they're packed with unwanted chemicals. Always apply neem oil at night and wash it off the next morning. Use a fine come to check for dead lice carcasses. Once that's done, use some herbal shampoo to wash hair. If you still spot lice, apply neem oil a couple more times to get rid off them completely. Remember how we spoke about neem oil curing dryness? Well, that logic applies to your scalp too. Refrain from using commercial shampoos and stick to only neem oil. While it takes care of the dandruff problem, it also does away with fungal and bacterial infections. You can start by applying neem oil to your scalp, then wash your hair after an hour, and later coat your strands with coconut oil. When hair is exposed to water, it becomes frizzy. This happens to most of us during the rainy season as hair absorbs moisture and swells up involuntarily. Since neem oil repels water, you will never experience frizzy strands if you apply neem oil before stepping out during the rains. If you have a nail infection only you would know how painful it becomes to treat it. If you show it the doctor, he's going to test whether the infection is fungal or bacterial. Based on that, he will prescribe some antibiotic or antifungal medication. He may also ask you to remove the nail if the infection is too bad. Don't do it. 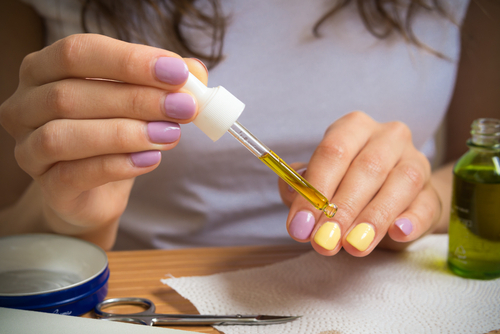 Just 2 to 3 drops of neem oil are enough to solve all your nail infection problems. Plus, you can expect to see results in the first week itself. Let's Check The Benefits Out! It's universally known that that neem oil makes the immunity system stronger. In the case of breast cancer, you can consume the oil orally or even pop some neem oil capsules to shield your body. However, be sure to run this by your doctor first. Only consume neem oil if your doctor approves. People suffering from herpes, smallpox, chicken pox, hepatitis B, can find solace in neem oil's company. The oil's antibacterial properties destroy the virus and ensure that there isn't a relapse. If you have any of the diseases mentioned above, you might want to bathe in a solution of neem oil. If you have bleeding gums aka gingivitis, consider gargling your mouth with neem oil and water. If you have split ends, you might want to use neem oil. The oil moisturises your strands from the roots till the tips, and soothes damaged hair cuticles. Twice in a week, moisturise your locks with neem oil, and wash it off after an hour or so. Also, ensure that you go for a hair trim on a regular basis, and continue oiling your hair with neem oil to prevent split ends. What Are Skin Conditions Anyway? Ringworms, moles, warts - you name it, neem oil can solve it! Neem oil is packed with antifungal properties and can be applied on the skin to avoid further infection. If you're experiencing any itchiness, soreness or getting any marks, rub some oil over the skin infection and don't wash it off for at least a couple of hours. Blackheads are tiny black bumps that pop up on the skin due to clogged hair follicles. You don't have to visit a salon to remove them, you can do so yourself with neem oil. Add two or three drops of neem oil to some water and rub your face with the solution. You'll notice a major difference in a month. Run out of mosquito repellent? No worries! You can use neem oil mixed with water as a natural mosquito repellent. The mosquitos can't stand the odour of neem, and hence stay away from the scent. You can either place it near your bed or sprinkle some on your bed - either way, it works wonders. Have a furry friend at home that won't stop scratching himself or herself? Your pet could then have a skin infection. But don't worry! Simply spray your pet with neem oil and water and make the pet wear an E-collar. After a couple of hours, remove the cone and give your pet a wash. Instead of using a commercial soap, simply use a mild one and wash the oil off with room temperature water. Don't forget to towel dry your pet later. 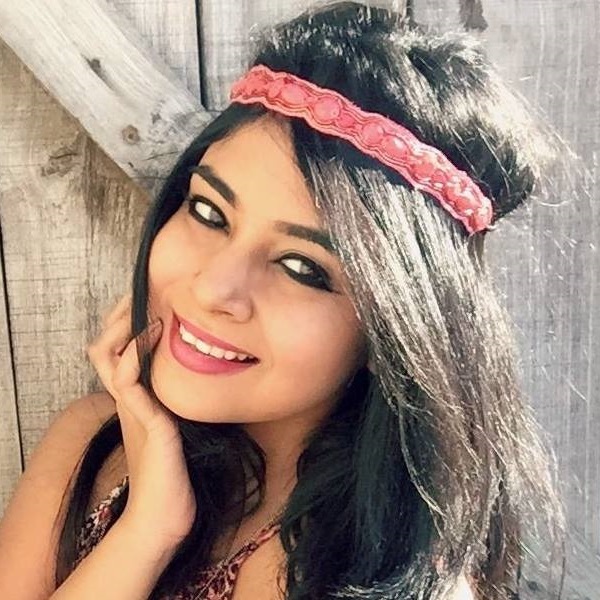 Have You Tried This Neem Oil Cream Yet? If your skin is starting to look old and wrinkly, you need to throw all those anti-wrinkle creams out the window. With a little help of lavender and jojoba oil, you can make the perfect neem oil cream at home! Since neem oil has no side effects on hair, anyone dealing with dandruff or hairfall can use the oil. 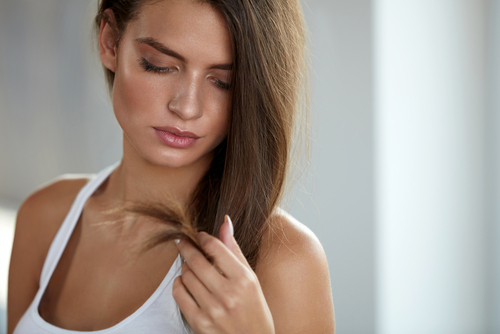 It not only boosts hair growth, but it also makes your hair smooth and silky. Always remember to apply neem oil first and then wait for an hour to wash your hair. The effects are much better and last longer this way. 1. One and a half tablespoon of neem oil. 2. Two drops of lavender essential oil. 3. A tablespoon of jojoba oil. Step 1: In a bowl, pour one and a half tablespoon of neem oil. Step 2: Add 2 drops of lavender oil. Step 3: Stir well and pour a tablespoon of jojoba oil into the mix. Step 4: Use your fingertips to apply and massage the cream in circular motions. Step 5: Apply 3-4 times a day. Caution: Before you apply the cream to your face, apply a bit of it on your hand first. If it itches, then avoid applying the cream to your face. 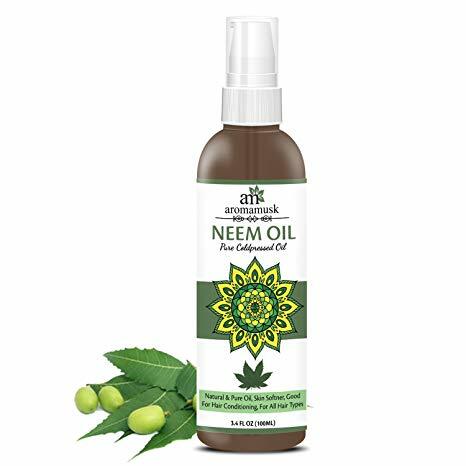 Packed with vitamin E, fatty acids, antioxidants, and anti-inflammatory properties, neem oil protects the skin from getting damaged, and from premature ageing. Before going to bed, dip a ball of cotton in a bowl that contains a mix of neem and coconut oils to the affected area. After an hour or more, wash your skin with just plain water and pat it dry with a soft cloth or towel. How To Look After Your Neem Bottle? So you bought your first neem oil bottle. The important part is learning how to take care of it. Store the neem oil bottle in the fridge because heat destroys a component called azadirachtin. Remember, the minimum shelf life of neem oil is two years. However, always keep an eye out for the packaging date to be safe. When shopping, always pick cold-pressed neem oil. It works much better on the skin and hair. And, when picking out your neem oil bottle, make sure that the oil is yellow, cloudy, and smells pungent. It should be 100% organic and should smell like sulphur or garlic. If it's not a 100% organic, the product won't be very effective because it probably contains petrochemicals. 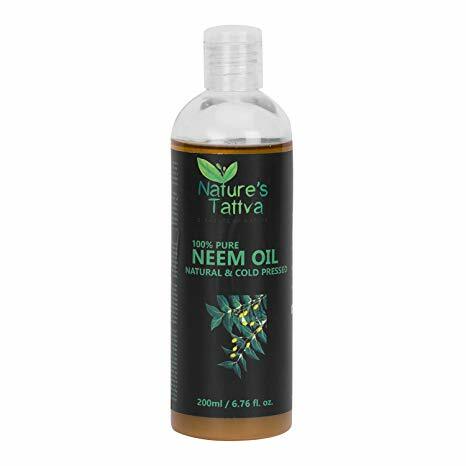 Best Neem Oils In The Market! Apply this product all over your body and don't wash it for at least 30 minutes. You can then continue to wash your body with soap and body scrubs. When applying the oil, feel free to mix your oil with coconut or olive oil. 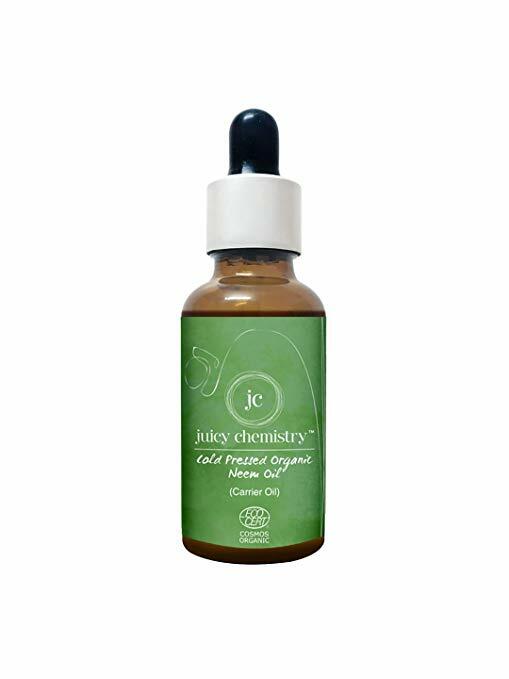 The best part about this organic neem oil is that it can be used for both hair and skin. It has an antibacterial formula that's perfect for skin, and any scalp infections you might have. Did you know that this specific hair oil deals with hair fall and cracked heels too? Yep, it's pretty amazing. This neem oil is made from neem seeds that come all the way from Tamil Nadu! If you have acne, zits, hair fall, this is the oil you have to get your hands on. It's one the best oils out there. If you do not have a mosquito repellent at home, you can make use of this fantastic neem oil. Add of few drops of this oil to a bowl of water and leave it outside your room. We bet no mosquito will come near you. Have a dandruff problem? 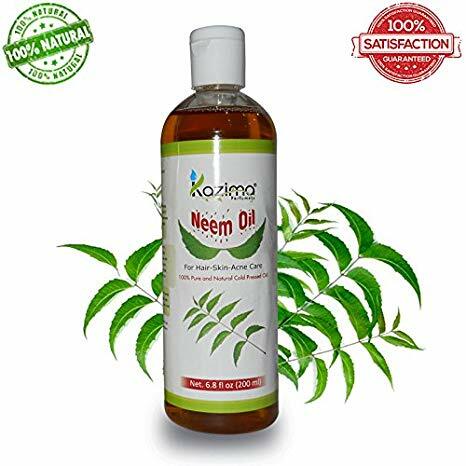 We recommend you to try this amazing cold pressed neem oil from Kazima. Just mix it with a bit of olive oil and apply it to your hair. Give it a month for the magic to happen. Are There Any Side Effects Of Neem? If you already have an allergy, neem leaves could aggravate the situation. Hence never apply neem oil directly to your skin. Always mix it with coconut oil or olive oil. While spraying your plants with neem oil can keep the insects away, it won't do the same for your health, especially men. Exposure to this oil, if not regulated, can cause infertility in men. Before consuming any neem oil products, check with your doctor first. Inhaling too much of the scent that comes from neem oil can cause an upset tummy too. So, only use the product if your doctor gives you the go-ahead. If you get tired easily, you must avoid using neem oil at all costs. It has side effects that may cause your system to go feel exhausted. If at all you feel the slightest amount of pain or tiredness, stop using the product instantly. 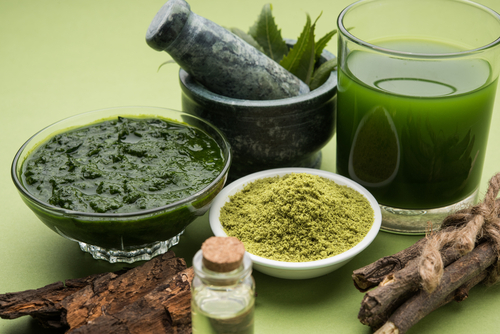 This may sound strange, but if you're diabetic, consuming neem products can control your blood sugar levels. But a higher dosage can cause dizziness, numbness or even cause you to slip into a coma! Anything when consumed in excess is bad for your health. This logic applies to your neem leaves as well. There's no doubt that they're good for your kidneys and liver, but consuming too much can damage them at the same time. One of the scariest side effects of neem oil is a miscarriage. You see, when a pregnant woman is exposed to an excessive amount of neem leaves or oil, it could make her immune system hyperactive. The moment this happens, the body rejects sperms and automatically tries to get rid off the embryo. 1. Some products that use neem oil are toothpaste, cosmetics, traditional medicines, lotions, shampoos, soaps, and pest control products. 2. Neem trees grow in tropical and semi-tropical regions like India, Pakistan, Malaysia, Bangladesh, Sri Lanka, and Myanmar. 3. Neem trees grow quickly and grow about 50-65 feet tall. On rare occasions, they grow up to 115-131 feet too. 4. Neem oil does not harm kids or people as long as it isn't consumed orally. If consumed, a person could experience tiredness, fatigue, and drowsiness. 5. If you have bed bugs at home, you can spray your bed with neem oil to keep them away. 6. It also treats fleas. Spray neem oil solution on your pooch to kill and shoo away any fleas and tics. Make sure to give your pet a shower later, because, if by chance, they lick themselves, the neem oil could have a negative impact on their body. The first few symptoms are fatigue, nausea, breathlessness, and sleeping for long hours. 7. Bathing in neem oil for 3-15 days can take care of scabies. It will heal skin and prevent any marks too. 8. Neem oil is mildly toxic for fish and other aquatic animals. Hence, consuming fish that contain traces of neem oil can be toxic to health. 9. Neem oil comes from the mahogany family, and it goes by its botanical name called Azadirachta Indica. 10. Neem oil can be formulated and morphed into neem powder, dust, and granules. Man has benefited from neem oil for centuries now. After all, it solves all issues related to skin, pets, health, hair, and pests. It can save you big bucks if you learn to use it moderately. 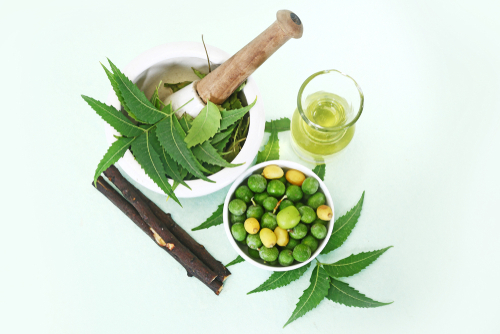 Now that you know it's benefits, uses, and facts, you might want to give neem oil a shot. Good luck!